Here is a list of places where you can Learn How To Drift or improve your drifting skills. A lot of places do a DWYB Drift What Ya Brung, these cater for wannabe drifters, intermediate drifters and Pros who want to sharpen there skills. The DWYB Days are the best value for money for wanabe drifters. You pay around £60 for a full day depending on the venue and often get tutors on site to give you advice and tips. Obviously you have to bring your own car. Tyres can often be bought at these events and you will get more driving time at the DWYB events! At most of the DWYB events, on selected days you can also get your Drifting licence, check with organisers about details!! Friends and Family are also welcome. Drift experience days vary a great deal, depending who you book with. Its advisable to do some research on what drift experience’s are available in your area. Prices start from around £70 for a basic package to around £350 for a full day drift experience with cars supplied. Remember to make sure you know what you are buying to avoid disappointment. I have also found this ebook that answers the many, many questions you newbie drifters are looking for! 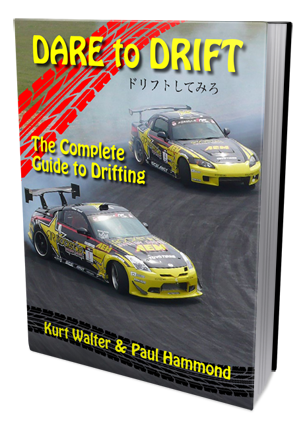 You can get it Here, Learn How To Drift A Car. Clink link for instant download!